The shape of a walking route can reveal the heterogeneity of a neighbourhood and debunk official histories or state-endorsed historical narratives that gloss over nuances. With the aid of old and new street maps, participants will come to understand how “mapping” is a cultural activity that reveals or conceals complexity. Participants will be given tips on “reading” maps and buildings in the urban landscape. 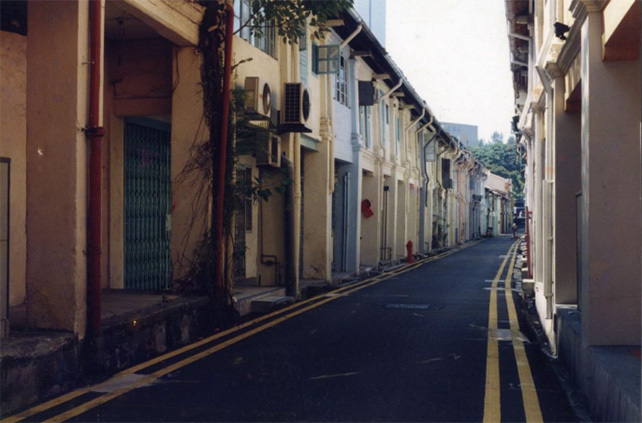 The route will straddle neighbourhoods of historical significance that lie between Serangoon Road and Beach Road. This walk is an attempt to retrace fragmented urban parcels and reclaim lost narratives. Admission: $15 per pax; registration via therewasaroadhere.peatix.com. Online registration closes at 4pm the day before. Places are limited to 15 pax per tour and is recommended for participants aged 16 and over. Payment is required to secure registration.